Sustainable Development Technology Canada (SDTC) is an arm’s length funding agency for the Government of Canada that has contributed $928 Million to 320 cleantech projects since 2001. 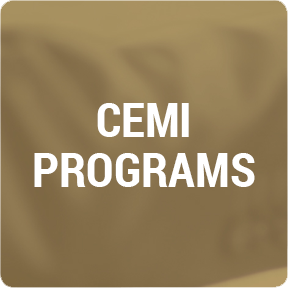 In partnership with CEMI (Centre for Excellence in Mining Innovation), SDTC will hold a public information session to explain the funding program and attract cleantech innovators with demonstration ready projects for the mining industry. Network and learn how you can apply your economically viable clean technologies to market! This session will be valuable to Canadian clean-tech entrepreneurs, innovation ecosystem and consortium partners, researchers interested in technology transfer, private sector investors, and mining companies looking to leverage Government funding to achieve innovation outcomes. To register for this session, please contact Marcus Thomson at mthomson@cemi.ca or 705.673.6568 x33. Doors will open at 1pm with light refreshments. There is no fee to attend this session, but seating is limited, so register today! from the Willet Green Miller Centre.